Welcome to Melbourne, Australia, where three Catholics discuss Catholic news, faith, science, music, apps and more from an Australian perspective. 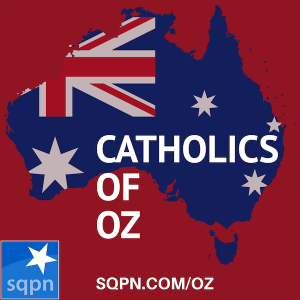 Join Lindsay Sant, Caroline Knight, and Gerard Trapnell as they explore the intersection of faith and pop culture from an Australian Catholic perspective. Tributes, Teachers, and April Easters- Lindsay and Gerry pay tribute to deceased Indigenous Deacon Boniface, Australia’s first permanent deacon who passed away at the age of 82. 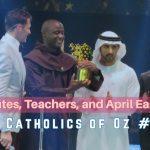 They also discuss the inspiring story of Franciscan Brother Tabichi from Kenya, who won $1M US for his inspiring dedication to his students. Lindsay and Gerry brave the science segment without Caroline to discuss why Easter is in April this year and not in March. 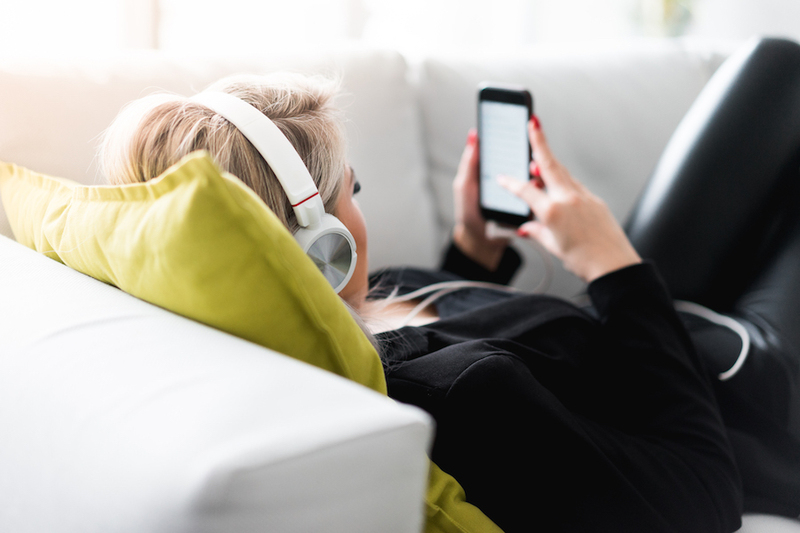 Also, more useful and addictive apps and some listener feedback! COZ006: Fr. 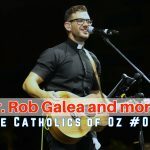 Rob Galea, Lent, and more!- An interview with Fr Rob Galea, a Catholic priest from Victoria who sang at World Youth Day for Pope Francis. Then Lindsay, Caroline, and Gerry share their reflections on Pope Francis’ 2019 Lenten message and also try to understand why Aussie supermarket chain Woolworths advertises ieverything as "Perfect for Lent." Plus "How to Train Your Dragon 3: The Hidden World." 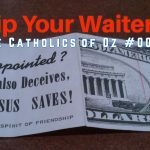 COZ005: Tip Your Waiter!- In this week's Catholics of Oz, Lindsay Sant and Caroline Knight encourage others to tip waiters with actual money instead of tracts, talk about CRISPR twins and asteroid landings, plus apps that improve your life and those that entertain. 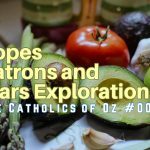 COZ004: Popes, Patrons and Mars Explorations- In this episode, the Catholics of Oz discuss an offer for Pope Francis to become Vegan during Lent for 1 million dollars – will he do it? Caroline is inspired by Prince William’s generous patronage of The Passage, a charity for homeless people in the UK. The team take a different angle on their entertainment segment, focussing on the addictive properties of some computer games on their children and Caroline shares some thoughts on the end of the Mars Rover Mission and new information that suggests Ultima Thule is shaped like a pancake. 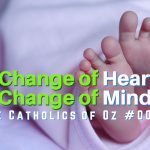 COZ003: A Change of Heart, A Change of Mind- Join Lindsay Sant, Caroline Knight, and Gerry Trapnell for a discussion of the surprising conversion of former Australian politician (and former atheist) Bill Hayden. Caroline also gives some info on the Chinese Space Agency’s mission to the ‘dark side of the moon’ and Lindsay shares his personal reflection on the birth of his second son, Alexander, who became a part of the Sant family 9 years after their first son was born. Also some surprising ways in which gaming apps can help to build supportive communities.